Power Product Manufacture earned our ISO 9001 certification and have continued to maintain our status as an ISO 9001 Certified Company for 20 years. 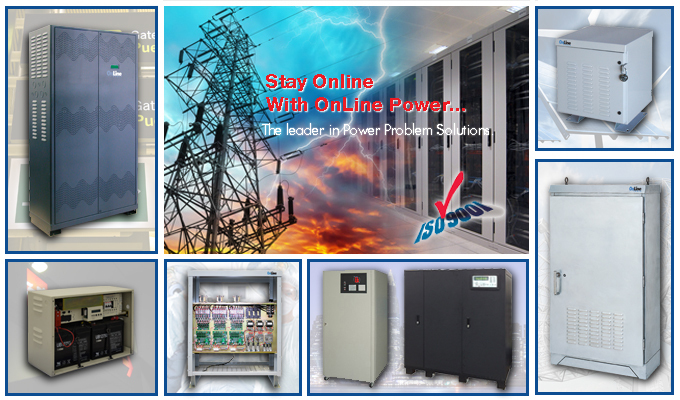 For Emergency Lighting, Computer Room, Production Facility, Testing Lab, Telecommunications, Inducstrial, and Commercial Buildings. 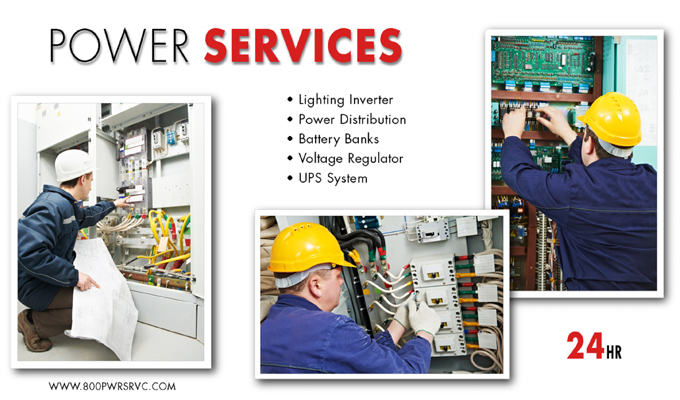 Service all of your power equipments by certified technician. Online uses Demand Flow Technology ensures efficient production cycle optimizing turnaround from component ordering to the shipment of the final product to our customer's dock. Battery Advisor monitor each battery ohmic value and it maximize battery life of your investment. 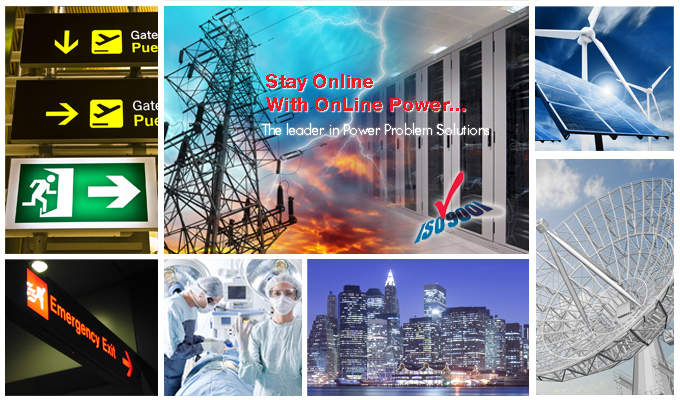 © Copyright, All rights reserved Online Power Inc. 800-227-8899 All Rights Reserved.